"If someone is dreaming of making Syria a puppet of the West, then this will not happen," says Syrian strongman. On Monday, Syrian President Bashar Assad denied allegations that his administration used chemical weapons against its civilians and warned that any U.S. military intervention in his country would fail. “The comments (accusing the regime of using chemical weapons) made by politicians in the West and other countries are an insult to common sense... It is nonsense,” he said. 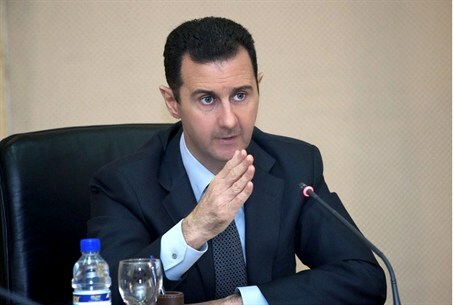 Assad clarified that there were regime forces present at the location where the alleged chemical massacre took place. Assad’s ally, Russia, has suggested rebels may have been behind the chemical weapons attack. "If someone is dreaming of making Syria a puppet of the West, then this will not happen," he stated.